Ex-convict: Why am I being punished again? 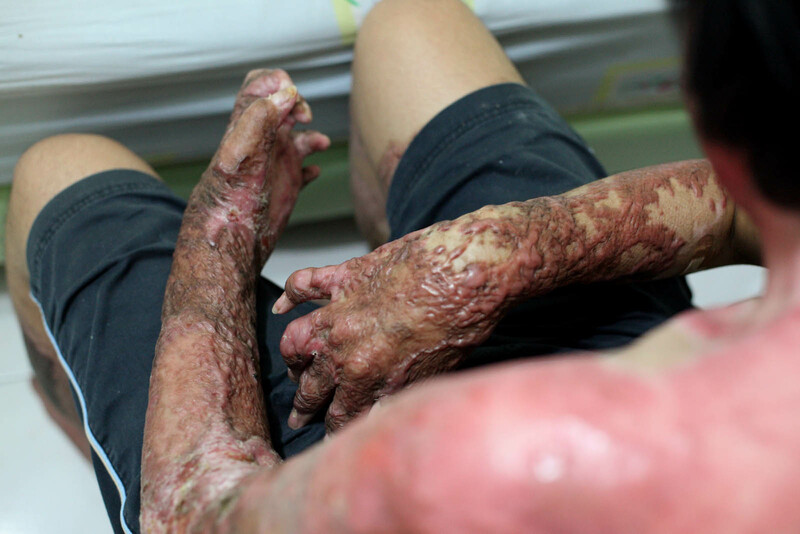 SINGAPORE - Released from Changi prison after serving nearly three years for setting a man ablaze, he headed straight to his home on February 16 - and found himself homeless. 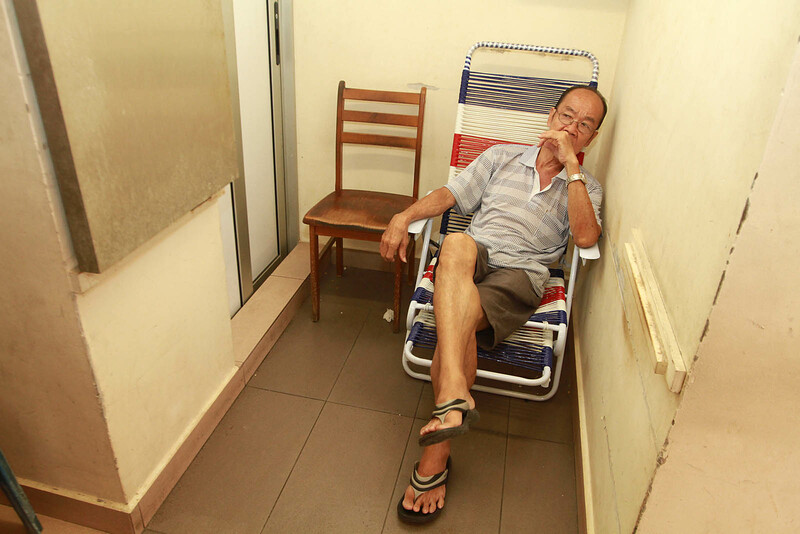 Mr Kuu Siau Lam's one-room rental flat in Toa Payoh was occupied by another family. The 68-year-old was furious. The flat had been recovered and re-allocated by HDB when he was serving his sentence. All his furniture, electrical appliances and belongings were no longer there. His passport, birth certificate and other important documents were also gone. Around $6,000 worth of items had been left in the flat before he went to jail, he claimed. Among the missing items: Two refrigerators, a 32-inch LCD TV, an electric bicycle, antique furniture and the power tools he used when he worked as a carpenter before his conviction. 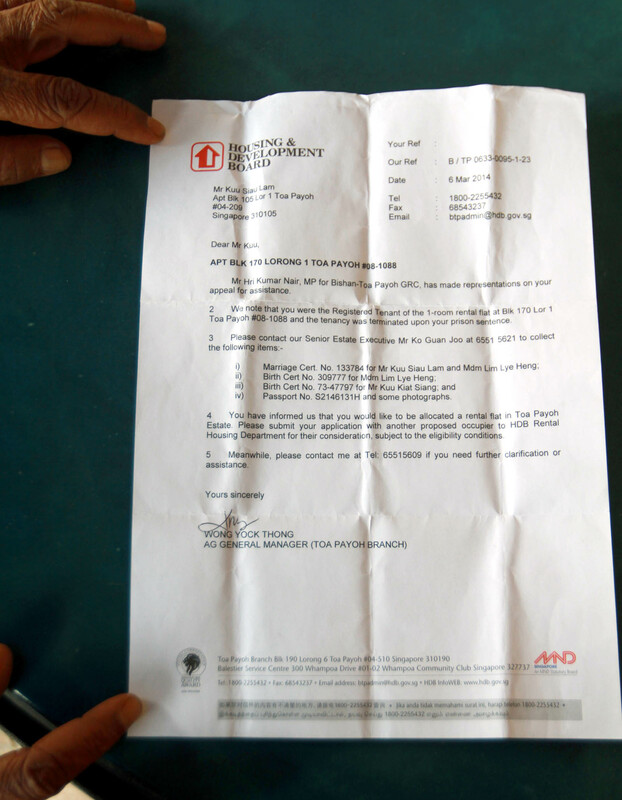 The HDB had, in repossessing the flat, removed and disposed of the items. In 2011, he had set his colleague on fire with thinner and a lighter after a spat in their workshop. 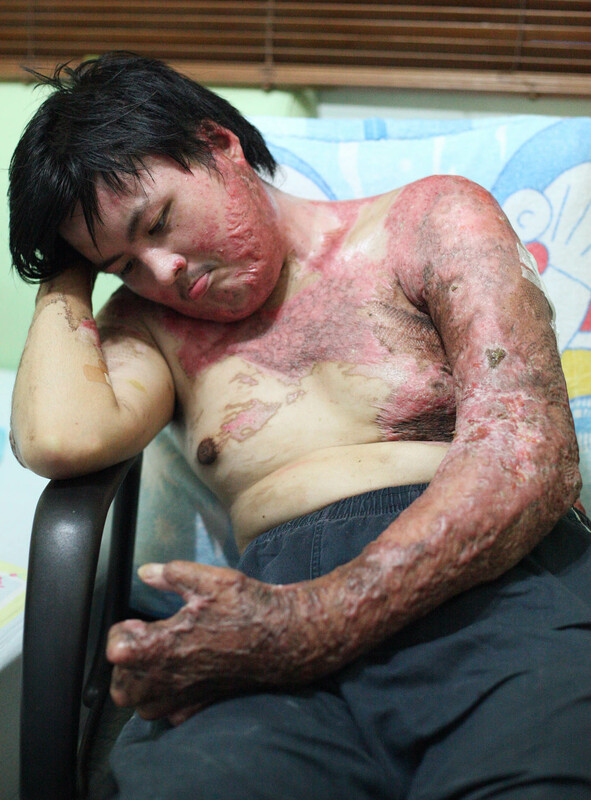 His co-worker, Mr Kee Yau Chong, suffered burns to more than 28 per cent of his body, including his face, body and arms. 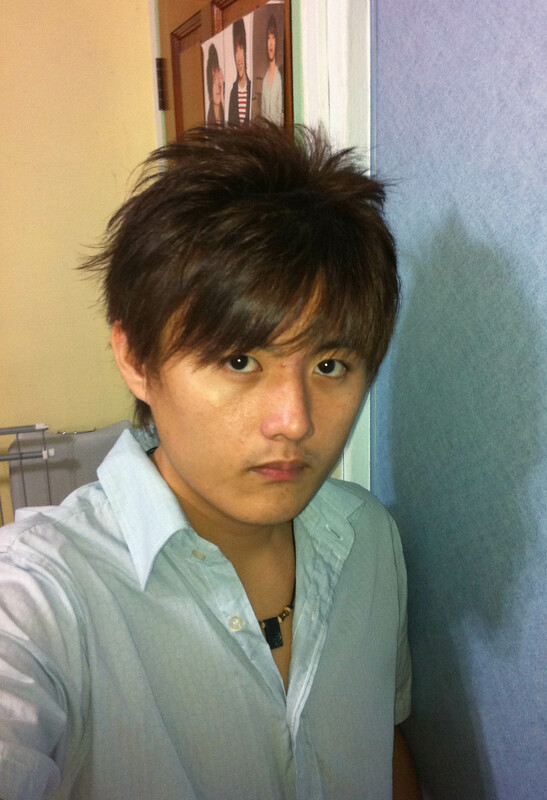 Mr Kuu was sentenced to four years' jail. Six months into his jail term, Mr Kuu, with the help of prison officers, wrote a letter to HDB, saying he wanted to keep his flat and belongings. 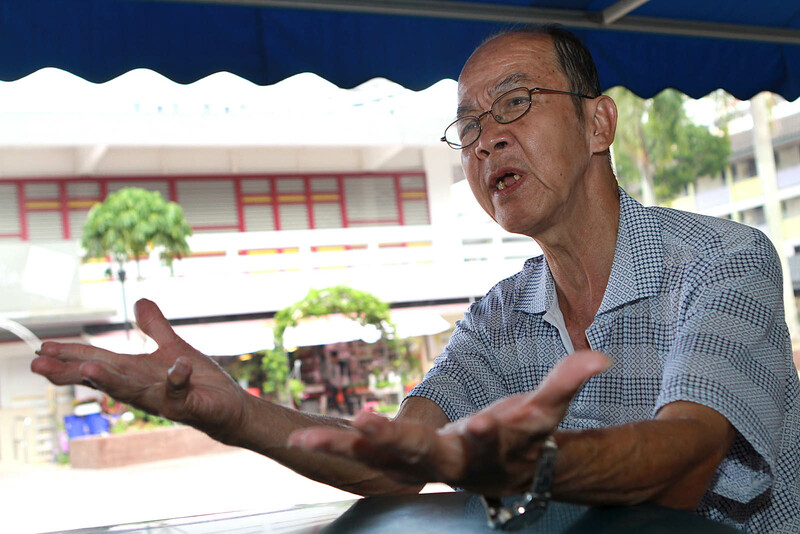 But HDB, in a letter, rejected his request, said Mr Kuu. There was no further correspondence between HDB and himself after that. Said Mr Kuu in Mandarin: "I've already served my sentence for my crime. I've done my time. So why am I being punished again?" 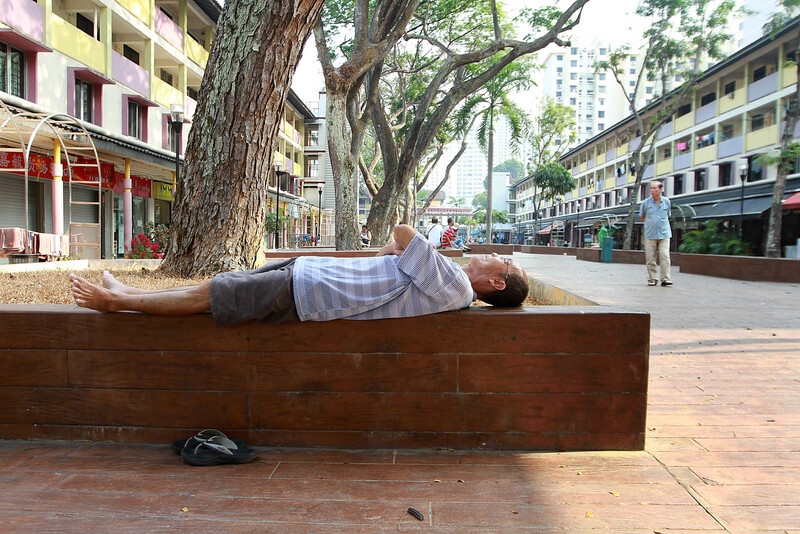 On the night of his release on February 16, Mr Kuu slept on a deck chair outside a public toilet in Toa Payoh, which was used by cleaning attendants in the day. With no job and no home to return to, he told The New Paper: "I'm so old already and they took away my home and my belongings. There is no hope left." His carpenter job paid him about $800 a month. Most of his savings are "gone already", said Mr Kuu. 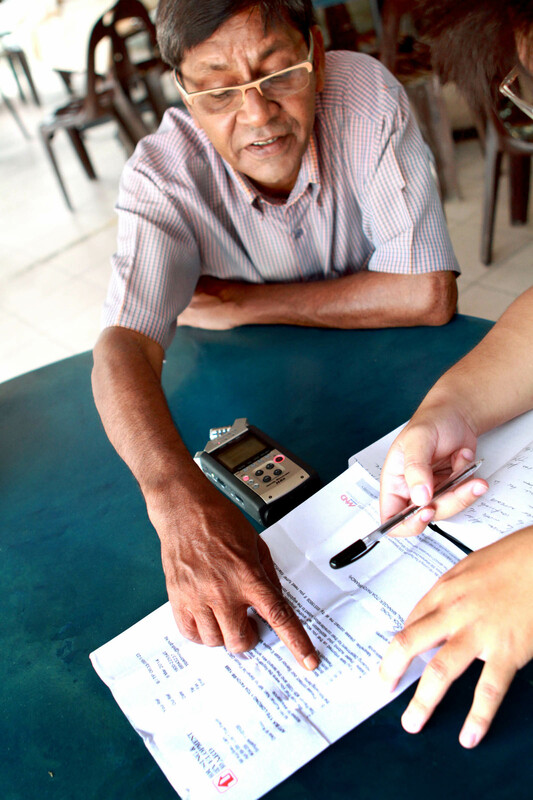 He now lives on around $300 given to him monthly by the Social Services Office at Toa Payoh. He has no family or relatives, only a neighbourhood friend. 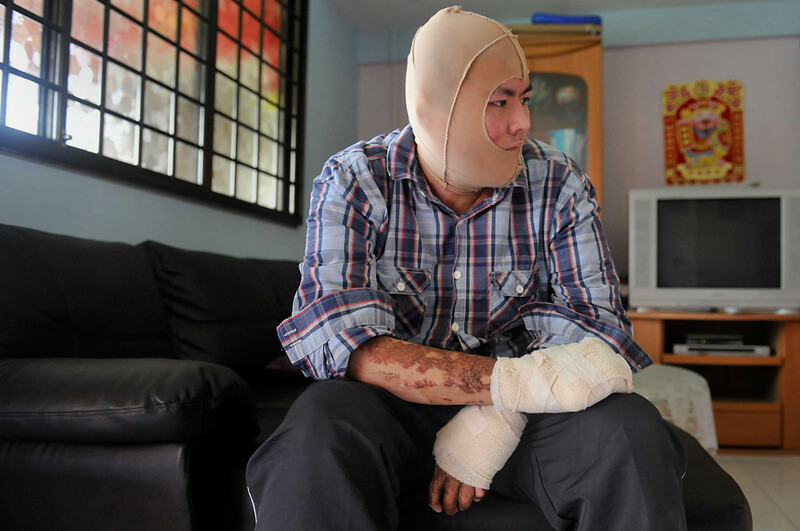 Released from Changi prison after serving nearly three years for setting a man ablaze, he headed straight to his home on February 16 - and found himself homeless. Mr Kuu Siau Lam's one-room rental flat in Toa Payoh had been recovered and re-allocated by HDB when he was serving his sentence. 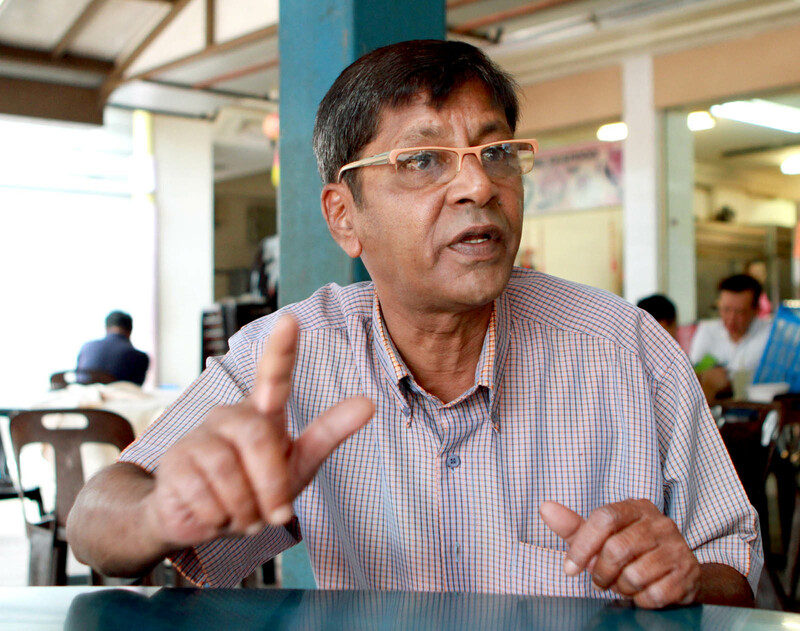 Mr Kuu approached his friend, freelance contractor Paul Thanabal, 60, who lives nearby in another rental flat, and told him about his situation. Upon his release, Mr Kuu and his friend, Mr Thanabal, approached his former MP, Mr Hri Kumar Nair, and the Social Service Office at Toa Payoh for help. 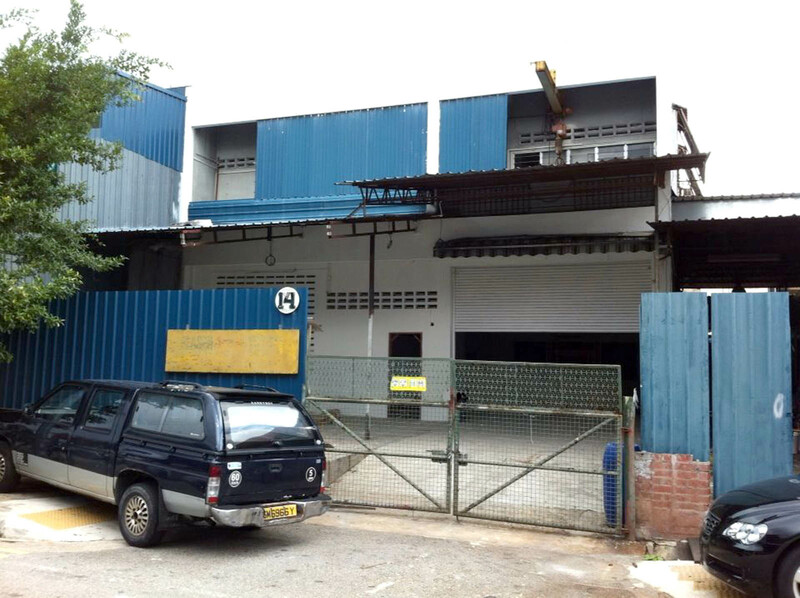 The workshop at Senang Crescent, Bedok, where Kuu Siau Lam, a carpenter, splashed thinner on his colleague, Malaysian Kee Yau Chong, before setting him on fire with a lighter. 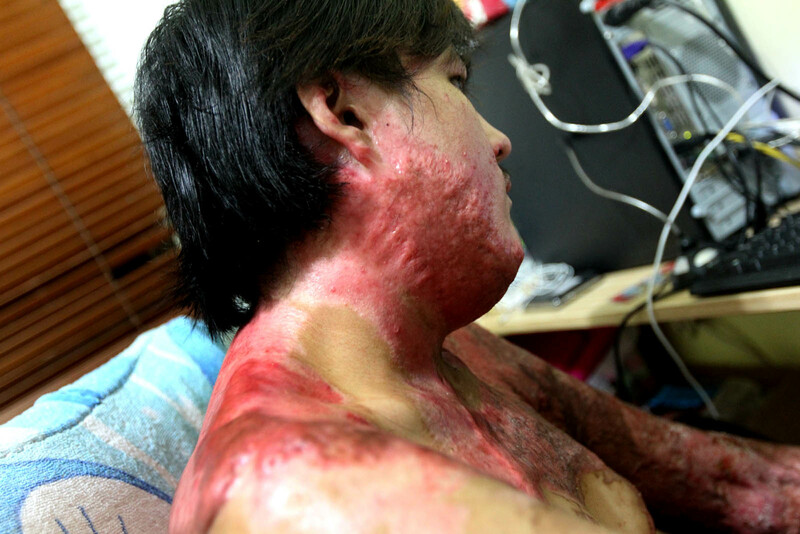 His co-worker, Mr Kee Yau Chong, suffered burns to more than 28 per cent of his body, including his face, body and arms. 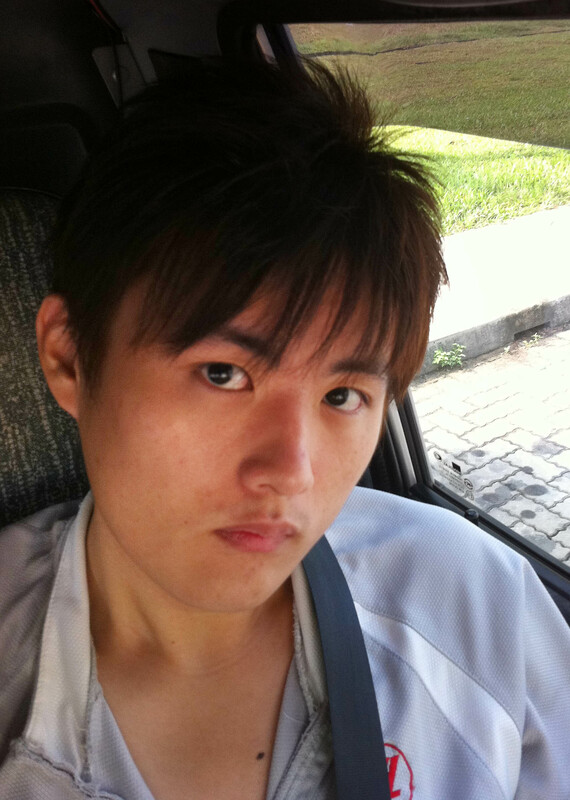 Mr Kuu was sentenced to four years' jail. The incident left Mr Kee scarred, both physically and emotionally. 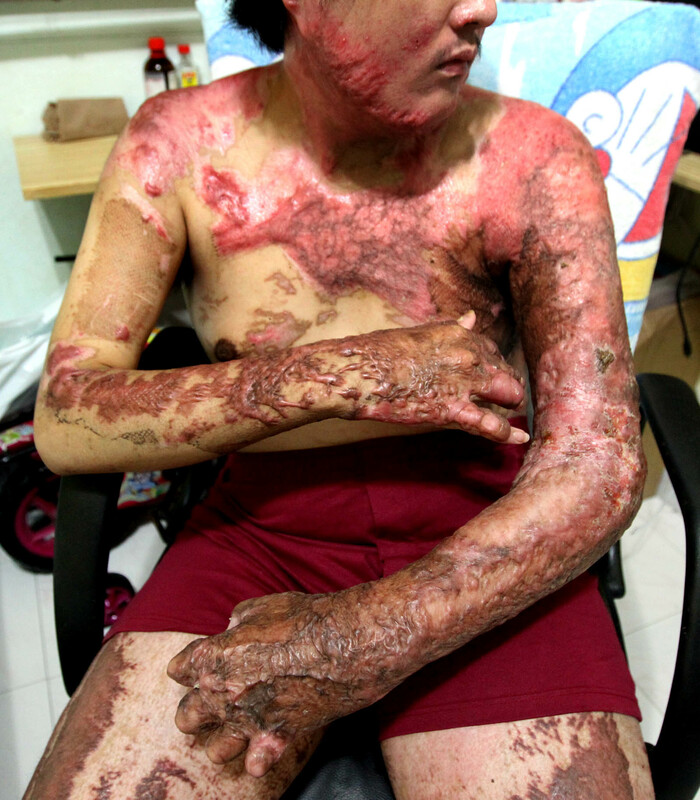 He suffered burns to 28 per cent of his total body surface, including his face, trunk and upper limbs. Angry red welts now cover his upper body and he has lost most of the functions of his hands. 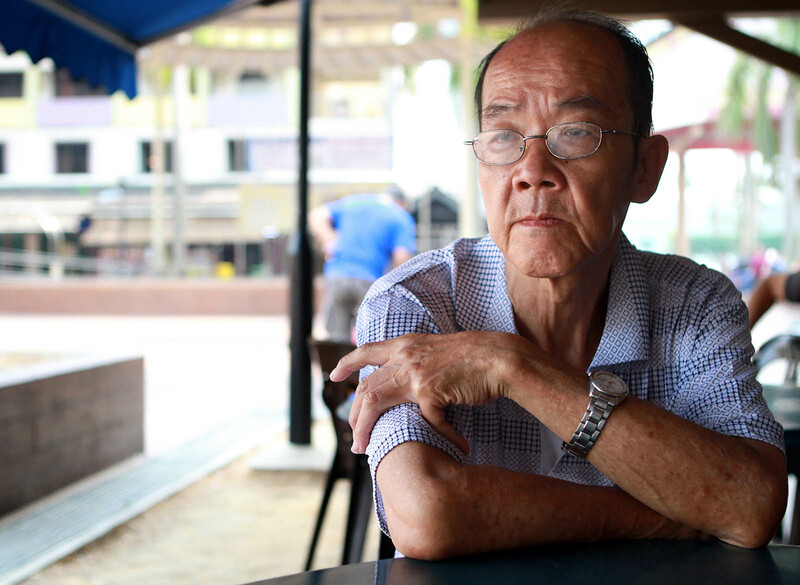 Mr Kee Yau Chong now spends his days holed up in a four-room flat in Hougang. 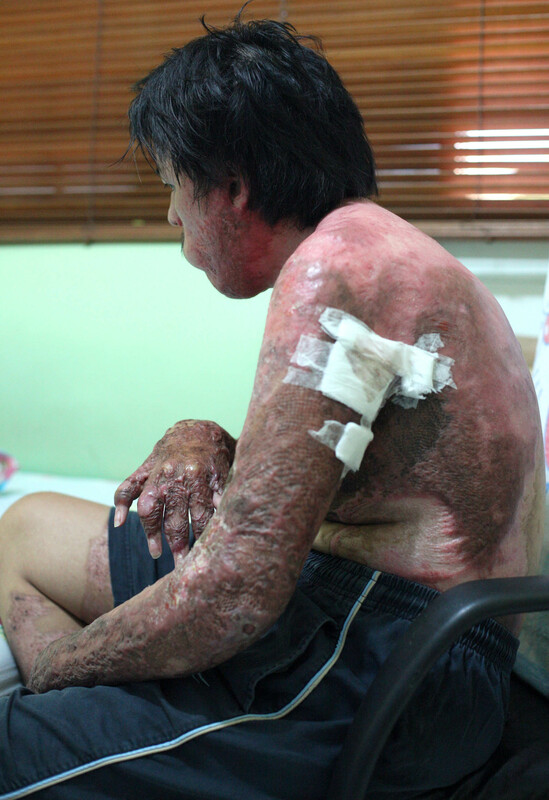 Malaysian Kee Yau Chong, in an undated photograph taken before he was set on fire by a colleague during a workplace quarrel in June 2011.